Winning Poker Network (WPN) boasts of a rapidly growing user base. Moving up 10 positions in just one year, it managed to advance to the Top 20 of the world's best poker rooms and networks in terms of player number. WPN popularity continues to grow. The network was created in its present form not so long time ago and has been gaining momentum ever since. Winning Poker Network was formed only in January 2012 on the ashes of Yatahay Network. 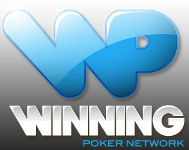 We'd like to emphasize that WPN is part of a small group of poker networks accepting US-based players. And it definitely won't disappoint you in terms of the number of Americans willing to spend money. By purchasing our WPN mining packages, you can explore the hands histories of Betcoin Poker, Americas Cardroom, Mythos Poker, PokerHost, True Poker, as well as a number of other poker rooms being a part of this network. With our help, you will get acquainted with the hands histories of WPN across all the Pot Limit Omaha tables, as well as examine data coming from No Limit Holdem tables maintained by WINNING software. Take advantage of online mining services across all the limits of Winning Poker. By buying WinningPoker mining (hand histories) from us, you'll receive a real opportunity to quickly recoup and profit from investments! Become successful by ordering a monthly subscription or via a one-time purchase of WINNING hand histories on our website!